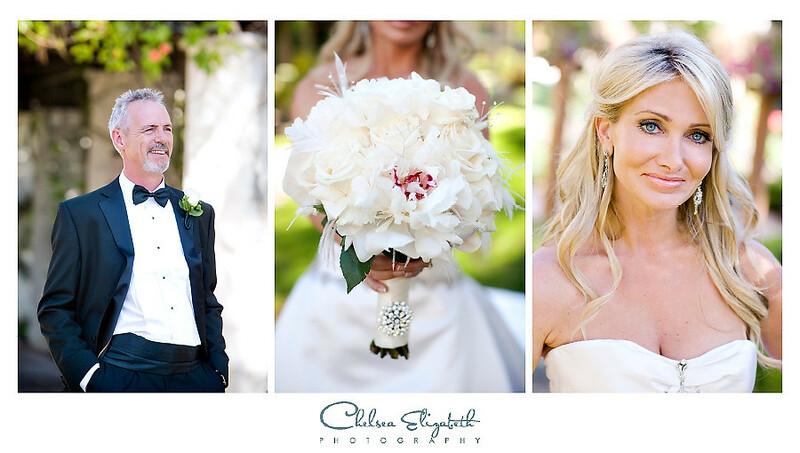 A beautiful Westlake Village Wedding! Summer weddings are so much fun. The weather is perfect and everything is in full bloom. 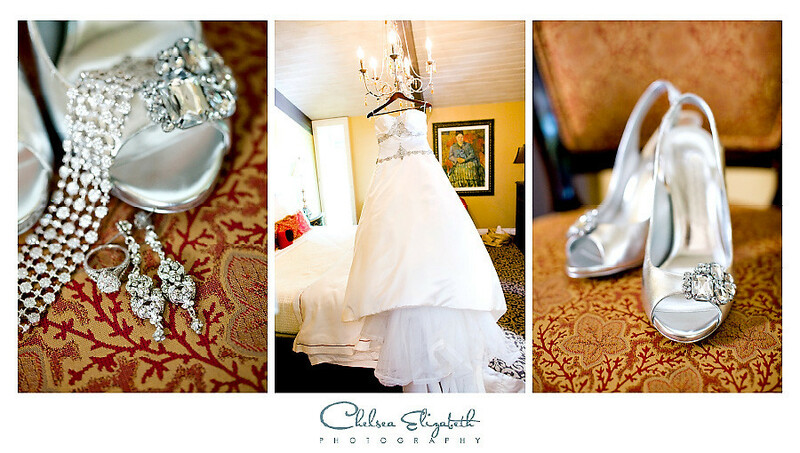 Here’s a sneak peak of Stacy & Niall’s fabulous silver crystal wedding at the Westlake Village Inn. The sunlight provided a perfect scene for these two at the alter. I love the images of the two of them in the Provence lobby. What style! Stacy’s flowers were amazing! Her florist Jan’s Flower’s did an amazing job with the white rose bouquet’s. Stcay’s gorgeous wedding gown from R Mine Bridal was so elegant. Along with her silver shoes that sparkled with glamor and her breathtaking jewelry, Stacy was a stunning bride. 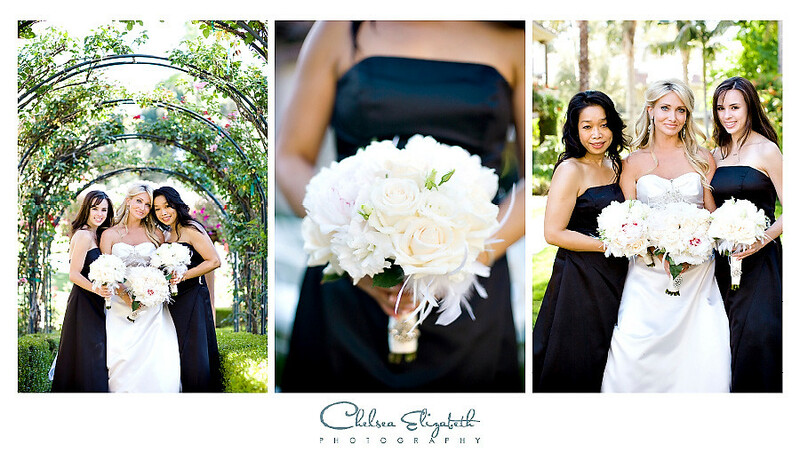 The black bridesmaids dresses were so pretty, they complimented the classic elegance of the wedding. I love the table decor and the martini’s waiting on the table. So inviting! The couple were so happy and in love, a fairytale wedding unfolds. The previews look great! Looking forward to seeing more. These are awesome pictures Stacy!! You and Niall look fantastic!! Love the portraits of the two of them! So pretty! Great images, as always!! These photos make my efforts look pathetic, they are beautiful pictures and truly represent an amazing day. The preview pictures are gorgeous! Can’t wait to see them all for our memory to become a lasting visual. Stunning! What a beautiful bride and handsome groom! Wedding looked amazing. Would LOVE to see more!